This page shows all of our regularly dyed colorways. These are colorways that may be available in our shop updates at any time. They can also be requested for custom orders. We also have seasonal colorways that are only available at certain times of year. These colorways are not shown here. click on the photos to see the name of the base it is pictured on. These photos show only one example of the colorway. 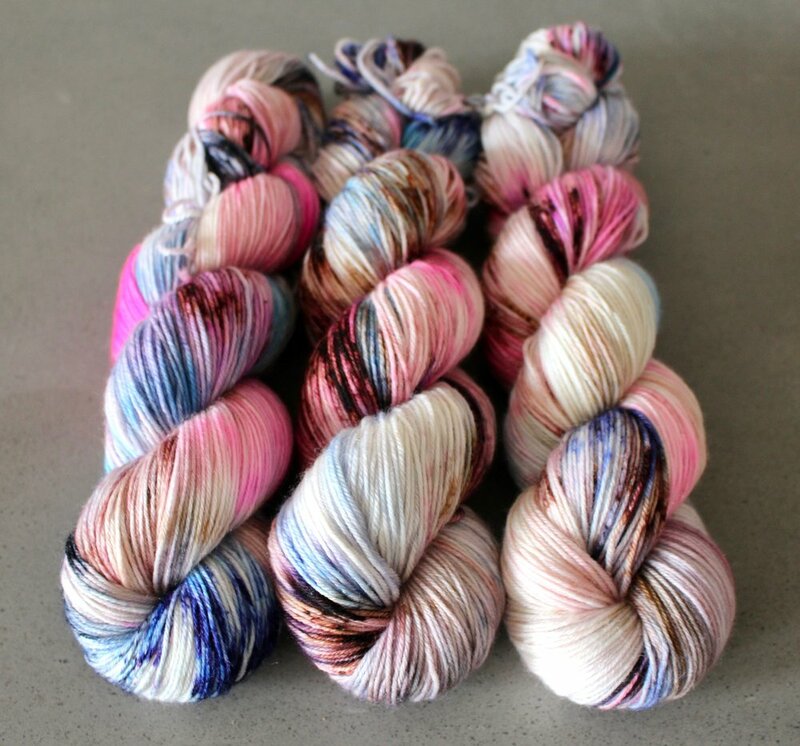 Each base dyes up differently. 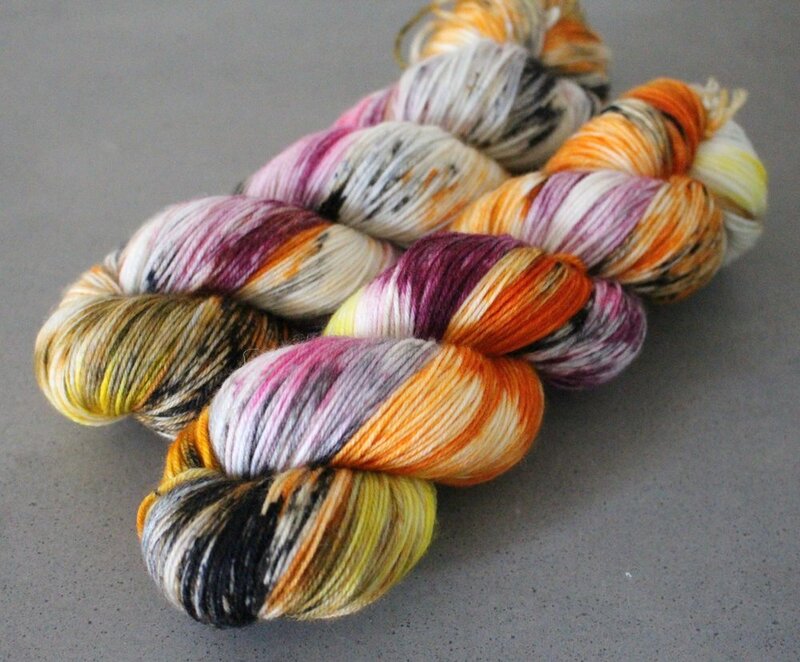 All yarn is hand dyed, so no two skeins will be identical. 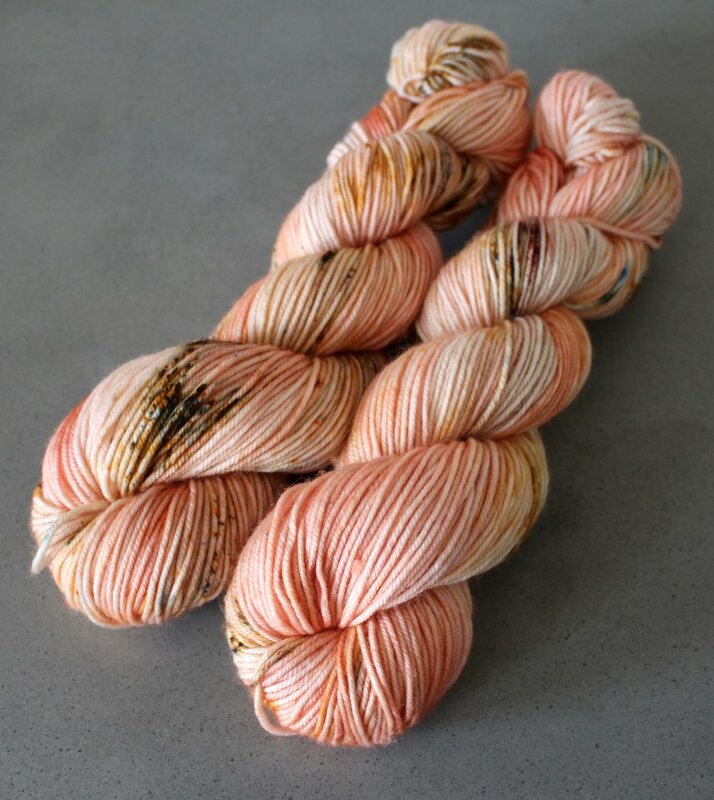 The skein you RECEIVE may vary from the one pictured here. 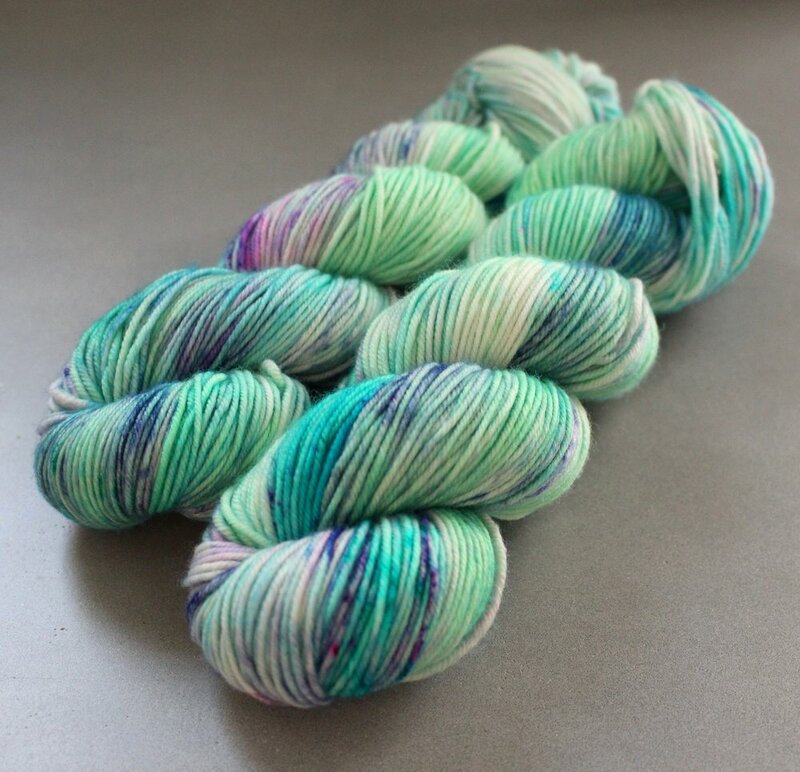 To see more examples of each colorway, please look at the sold section of our etsy shop.